I have a love/hate relationship with novellas in general. Too often, I find them to be criminally short (I’m looking at you Binti!) but it’s also deeply satisfying to finish them in one sitting. After a long break, I wanted to continue the Murderbot series about a sardonic, sentient combat robot who hacks its own module to free itself from programming. What does it say about me when I have so much in common with a social anxiety-ridden murderbot? This time, Murderbot forms an unlikely bond with a transit ship AI program and together, they work to uncover Murderbot’s mysterious past. Funny and unencumbered by sci-fi mumbo-jumbo, this series is really hitting the spot for me. 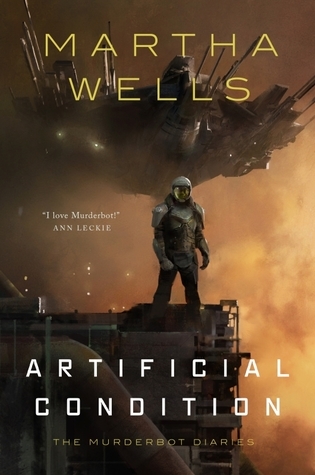 And, I’m trilled to learn that soon Murderbot is getting its own, bonafide, full-length novel. Finally. Sign into Goodreads to see if any of your friends have read Artificial Condition.